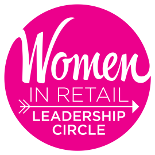 Women In Retail Leadership Circle | Women in Retail Leadership Circle Wants Your Feedback! As I noted last week, Women in Retail Leadership Circle (WIRLC) is launching a research initiative next year. To help us deliver the types of reports and information that are relevant to you and your career, we need your help! Our goal is to produce research reports that are valuable to the WIRLC community. In order to do so, we need your feedback. We want to understand the research topics you’re most interested in knowing more about. If you haven’t already done so, please take the following short survey (the survey should take just five minutes to seven minutes to complete). Your input is invaluable in helping us determine the right research topics to explore. As a token of our appreciation, after completing the survey you may choose to enter your email address for a chance to win one free pass to a WIRLC: On the Road regional event in the city of your choice in 2018 or 2019. All responses are anonymous, and won’t be reported on. This survey is for internal use only. We want to provide our members the types of content that matter to them, so please take our survey if you haven’t already done so. Your input does matter! You can take the take the survey today by clicking here.